Organized by WMO and China Meteorological Administration, the Workshop on Drought and Extreme Temperatures: Preparedness and Management for Sustainable Agriculture, Forestry and Fishery was held from 16-17 February 2009 in Beijing China. 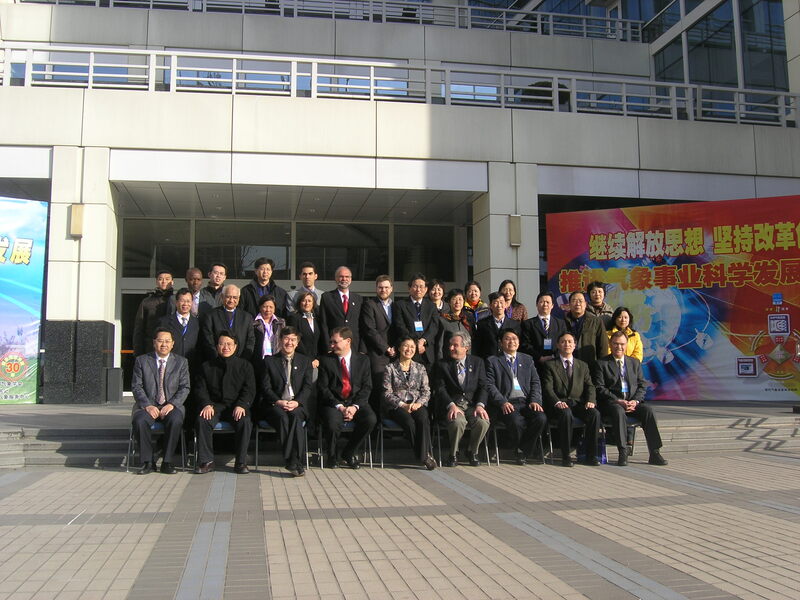 Nearly 50 participants attended the workshop, including 13 foreign participants from Australia, Brazil, Cote D'Ivoire, French, Iran, Korea, Mongolia, New Zealand, Panama, Philippines, Uruguay, USA and WMO, and domestic participants from CMA, China Agriculture University, Nanjing University of Information Science and Technology and Chinese Academy of Agricultural Sciences. During the opening ceremony, Ms. Jiao Meiyan, Deputy Administrator of CMA, warmly welcomed foreign participants and indicated that, the drought, high and low extreme temperature are the main disaster for agriculture in China. CMA has paid great attention on agro-meteorological disaster prevention and mitigation and are making all out efforts on development of agro-meteorological modernization. Dr. Robert Stefanski, Director of Agro-meteorological Division of WMO, welcomed all participants to this workshop on behalf of the Michel Jarraud, Secretary-General of WMO. He appreciated the CMA for hosting this workshop, providing the necessary support and hospitality. He said, this is a timely workshop considering the recent events in Australia and reports of drought in the winter wheat areas of China. Dr. Michael James Salinger, President of the WMO Commission for Agricultural Meteorology (CAgM), introduced the three Open Programme Area Groups (OPAG) of CAgM, especially the Expert Team of OPAG 3. Then he briefed heat wave in Australia and drought in China in 2009. The workshop was successfully closed on 17 February. It discussed on drought indices, extreme temperatures and Strategies to mitigate Impact Agro-meteorological disaster impacts. A report of the workshop including results and recommendations will be submitted and a proceedings book for the presented papers will be published.